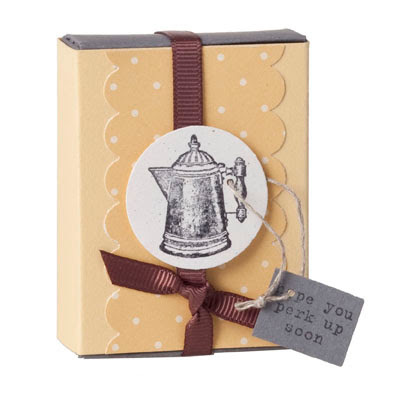 Give a gift for baby the perfect look for the occasion with Stampin’ Up!’s beautiful coordinated accessories. 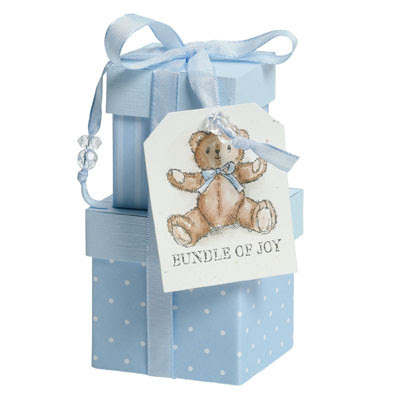 The adorable teddy bear Bundle of Joy tag from the Teddy & Train set is the perfect touch to this splendidly wrapped and adorned present. • STAMPERS CLUB SIGN-UP BONUS! I'm now accepting sign ups for the next round of Stampers Club, beginning in August and running for 10 months. If you SIGN UP before July 31, you'll get your choice of ANY 2 IN COLOR ink pads as a special bonus from me, and that's in addition to all the other perks, such as Hostess benefits, free merchandise, private Club members-only blog with projects and instructions... and more! For those who are new to my blog and mailing list this month, I hope you have been enjoying everything so far. 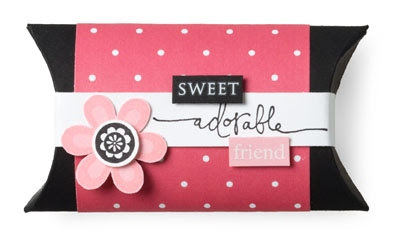 If you, or anyone else who's on my list, would like to receive Stampin' Up! Mini Catalogues, please send an email with your address and phone and I'll make sure you get one. 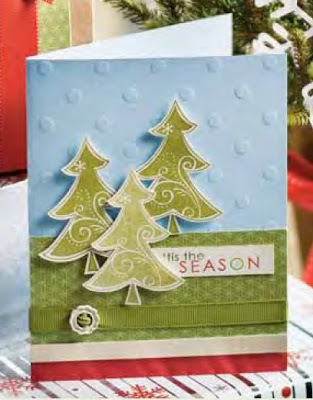 BTW, as demonstrators we have already laid eyes on the upcoming 40 page Holiday Mini Catalogue. We can’t tell you about it yet but oh, my gosh! Lots more than just our usual, wonderful stamps, inks and papers! As demonstrators, we will be able to preorder ‘things’ August 1st, while our customers will be able to purchase Sept 1. So if you like to get the scoop on fun things like this early, being a demonstrator might be for you! There are so many great perks associated with being a Stampin' Up! Demonstrator, and you can get started for as little as $105 for our new Mini Starter kit. I have scheduled all my classes from August to November and they can be found here (Demonstrators, check HERE). If you are attending Stampin' Palooza this fall, be sure to check out the newly-posted list of supplies to bring along on the website. You can place your orders with me anytime: on the phone, by email, in person or even online. A little known fact about our cool online ordering system is that whenever you see a sample, you can click on it to see what products were used. The best part is that you can select any products you may not have and they go right into your shopping cart! Don't forget about my July Ordering Special of a free tutorial as well as the current "Heart to Heart" Punch Deal-Of-The-Week, both specials being good until the end of July. Who wouldn't like to be Queen for a Day?! I'd first like to congratulate Donna L. and Tricia C. for achieving their Senior Associate promotions this month -- way to go!! Here's a warm welcome to the latest two gals who recently joined the "Canadians, INK!" group -- Samantha B. and Kim W.! Your bonus ribbon and cardstock samplers have been mailed out, gals... please let me know when they arrive! Celebrando creatividad - day 3! 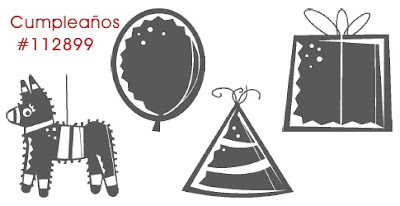 Here are some more fabulous Spanish sets from Stampin' Up! for you....please click on images to enlarge. Deal of the Week #5: Heart to Heart punch! 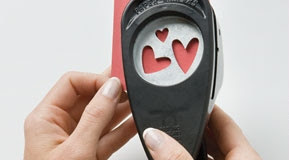 It's the "Heart to Heart" punch and it's only $15.99 (that's more than 30% off the regular $22.95!) for this next week only. 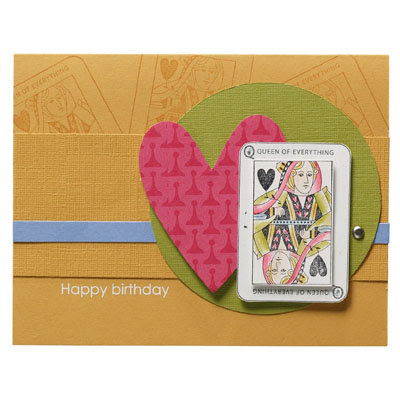 This punch has 3 heart shapes that also coordinates with the Love You Much stamp set. Celebrando creatividad - day 2! 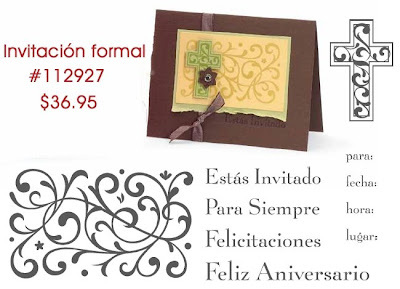 I'm continuing on with more "espanol" stamping for everyone's enjoyment, by featuring the gorgeous "Invitación formal". Be sure to contact me if you would like to order this or any other Stampin' Up! offerings! Hablamos Español? Kicking off SPANISH WEEK! 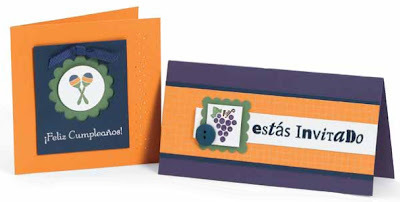 I know that there are many stampers out there who speak Spanish or would like to use Spanish sentiments in their card & scrapbooking, so I want to focus on some of the exclusive Español offerings from Stampin' Up! 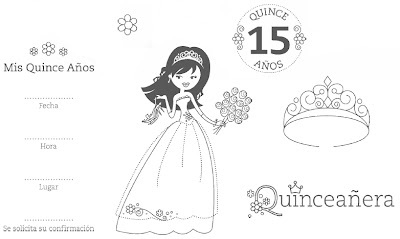 Let's start off with some celebrations, like the Quinceañera stamp set (#113820 - $38.95) and the Cumpleaños stamp Set (#112899 - $20.95). Please contact me if you would like to order either of these! Embrace life - another Vanilla HodgePodge card! Sometimes we all need a reminder to take life as it comes. 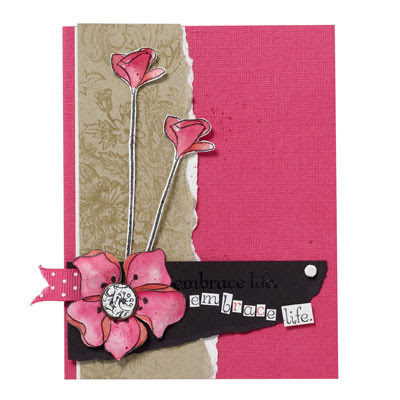 This card infuses life through the bold colour choice and free-spirited floral images. You can always choose to embrace everything good in your life! Take a small treat over to a new mother and welcome her precious little girl into the world. Or you can make one for a new little boy--simply change the colours! Help someone perk up with our Puns from the Past set. 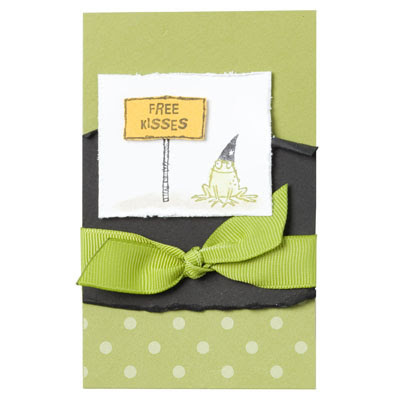 This adorable matchbox will brighten anyone's mood for days! 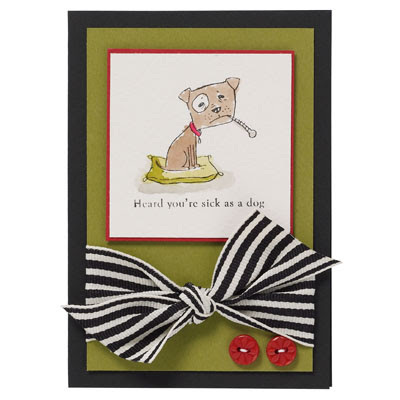 With the Vanilla Styled Hodgepodge on sale this week, here's a sample to show you one fun way to use the ribbon slides! Another Monday, another deal of the week for you! And you're not going to want to miss out on this one! I love the Vanilla Hodgepodge Hardware an d I know you will too - especially at this price! This week only, you can get this box filled with goodness for just $26.99 (normally $41.99)! New Catty Fun #5: Sick as a Dog! 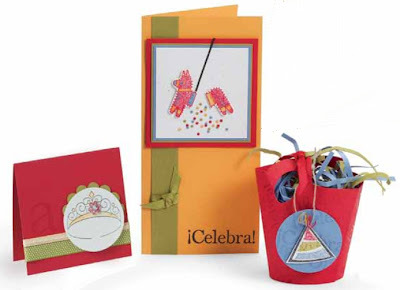 Use any of our Oval All greetings set to make a small gift for a friend. Whether you give her something for a special occasion or simply because you appreciate her, make sure she knows how much you truly enjoy knowing her. Open House/Stamp Sale -- Friday & Saturday! Be sure to come by the studio this weekend for my big Catalogue Open House & Retired Stamp Sets Sale! I'll have plenty of new and gently-used stamp sets, accessories & papers for sale as well as the new catalogue available for pick up. There will some great sales to be had, so be sure to come on by! 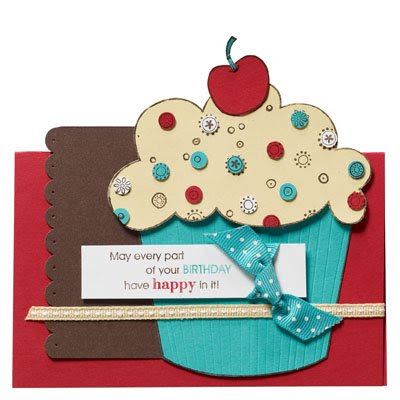 Birthdays are for celebrating, and you can bring a little birthday cheer to someone special with this bright card! Anyone will be thrilled with this birthday treat! Country Living Summer Cookout Refill Kit! How cool! Stampin' Up! 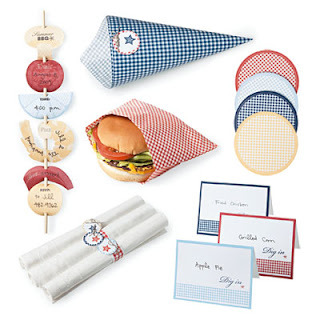 has just released a refill kit ($13.95) for the Country Living Summer Cookout package. This will let you hold multiple summer gatherings or just a single large cookout at less than half the cost of the full Summer Cookout Kit. To make him completely irrestible, just touch him up with a bit of watercolouring and you're all set. 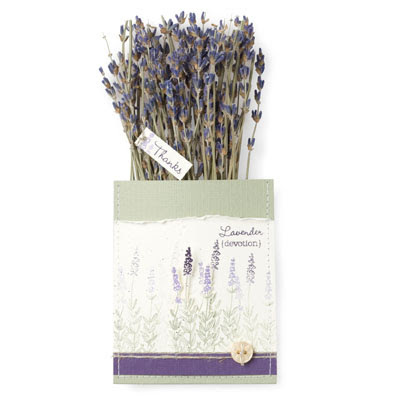 Give someone a sweet-scented reminder of your love with this nature-inspired gift idea. The two different shades of purple help your lavendar images from the Herb Expressions set set come to life! 10 FREE Ribbons and Designer Paper Samplers! Ohhh... I just LOVE giving away free stuff, and today is no exception! I'm giving away 10 special Designer Paper Samplers and Ribbon samplers, one pair each to the first 10 people who buy their Starter Kits with me! The paper sampler contains a 3" x 3" sample of each Designer Series paper design available in the 2009-2010 Idea Book & Catalogue. The ribbon sampler contains a 6" piece of every ribbon featured in the 2009-2010 Idea Book & Catalogue, including our Ribbon Originals. 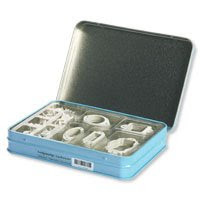 It comes with a handy silver storage ring and a fun silver Stampin' Up! charm to make this business tool both functional and stylish! NEITHER of these great samplers are available to the general public, but are my gift to you for joining my "Canadians, INK!" team... and with the 2 new Starter Kit specials, it's perfect timing! 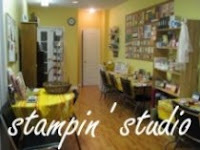 From July 15 until August 31, Stampin' Up! is offering a Mini Starter kit for only $105. This amazingly low-cost kit includes one stamp set valued at $38.95, 6 In Colour classic ink pads, one pack of Whisper White cardstock and one pack of In Colour assorted cardstock - or substitute with your choices at equal value, PLUS all your business supplies! Want more "Bang for your Buck"? The Standard Starter Kit is still the best values around with lots of products at a great discount. It includes 5 stamp sets, 1 Stampin' Around wheel plus handle & ink cartridge, 5 classic ink pads, 1 Versamark pad, SNAIL adhesive, 3 packs of cardstock, blender pens, Stampin' Pastels, Stampin' Scrub & Mist and 1 Décor Elements item plus applicator, PLUS all your business supplies! Until the end of August, you will also receive a bonus bundle of In Color products (6 ink pads and assorted 8-1/2" x 11" card stock) worth an additional $58.20! 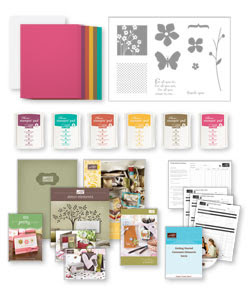 If you have questions about the Starter Kit options and the advantages of the Stampin' Up! opportunity, please contact me, I can share details and my experiences with you. I would love to have you as part of my team! Free "Razzle Chic Rub-ons Gift Set – Class Tutorial"! For the month of July, I'm giving away a fabulous new tutorial for a "Razzle Chic Rub-ons Gift Set" with every $50 order placed with me. You'll feel the cheerful warmth of our bold and rich new In Colors while you have a great time creating these projects. 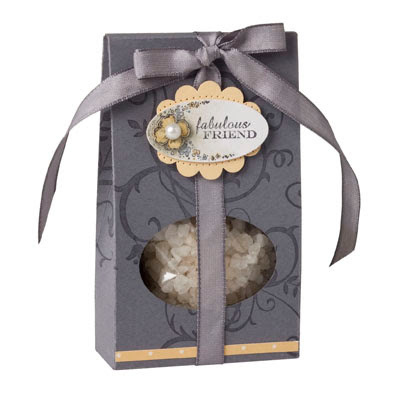 You can then pass on the cheer when you share the gifts with a friend, hostess or coworker to add heartfelt warmth to their home or office! These projects feature the Autumn Harvest Rub-ons and Razzleberry Lemonade Designer Series Paper (DSP) and bring a colourful spin on the Shabby Chic style with warm rich colours. It's all the inspiration you need to make beautiful and thoughtful gifts for the holidays or any occasion!